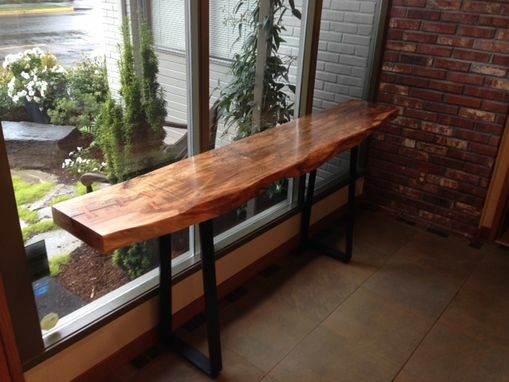 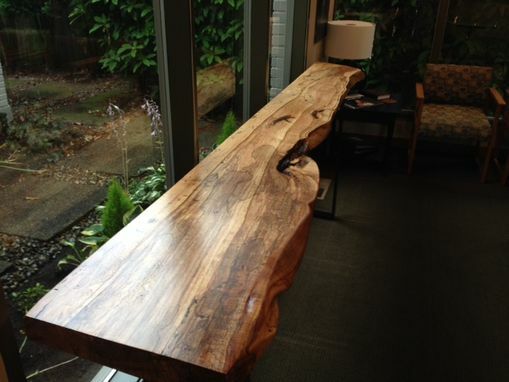 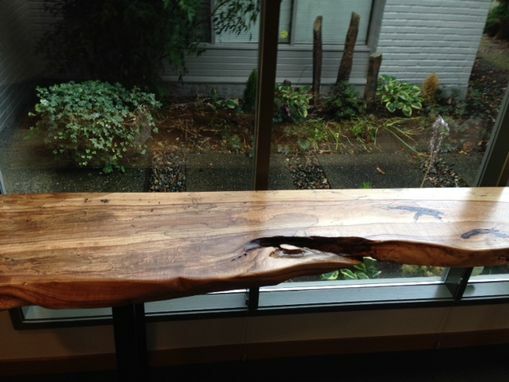 We recently completed these live edge console tables for a local client. 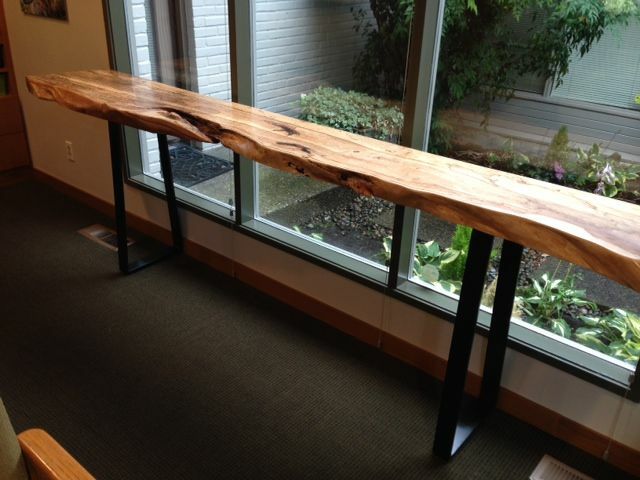 These pieces of spalted Maple were mounted on welded steel legs to create a look that will fit in with any decor. 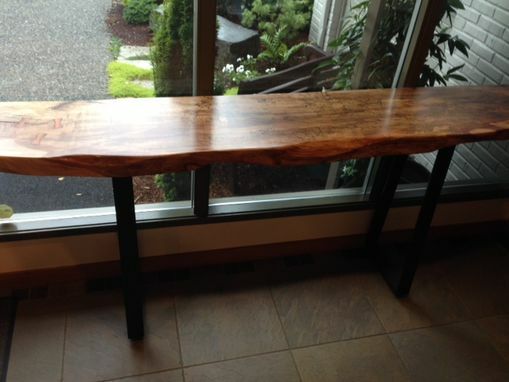 We would love to create more of these tables for you. 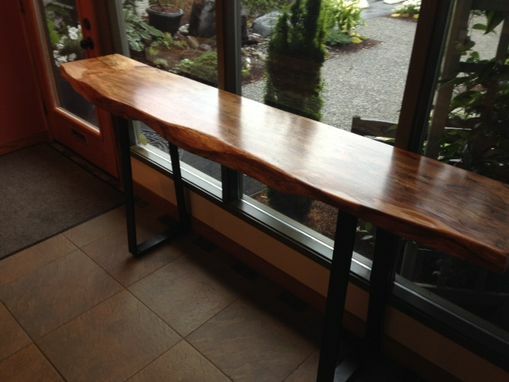 All features can be customized to create exactly what you're looking for.